The space up for auction is located at the HIMA Plaza 1 building adjacent to the HIMA Caguas hospital. 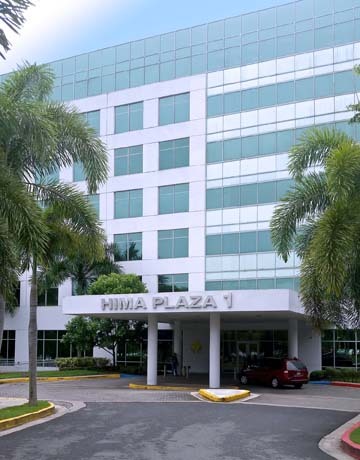 Hilco Real Estate, LLC announced Wednesday the upcoming live and online auction of a sixth-floor medical office condominium within the HIMA Plaza One office building located in Caguas, scheduled for June 8. Previously listed for more than $2 million, the property is being offered with no reserve price and a low suggested opening bid of $250,000. The bidding for this auction will be conducted online, as well as during a live open-outcry bidding event held at the property, located at 53 Luis Muñoz Marin Ave., the company confirmed. The auction will be held from 9 a.m. to 3 p.m. A $25,000 initial deposit is required to bid, the real estate firm said. The asset comprises the entire sixth floor totaling some 22,000 square-feet of raw space ready for completion. The space is open with no internal partitions or divisions and offers the opportunity to build out to the eventual buyer’s unique specifications. Use of this unit is restricted to the general office use medical purposes. Located next to Hospital HIMA, the building’s office space is sought after by clinicians, physicians and other medical practitioners throughout the region, Hilco executives said. “This property is well-suited for an owner/operator seeking a central location from which to serve/reach a heavy concentration of clients/patients or an investor/developer looking for a blank canvas in a desirable urban location with proximity to nearby traffic generators. This offering provides an exceptional value-add potential in one of the island’s most populous regions for anyone in the healthcare industry” said Fernando Palacios, managing director at Hilco Real Estate. On-site inspections can be conducted on May 18, June 1 & June 8 between 1 p.m. and 3 p.m.
Hey Buddy!, I found this information for you: "Hilco Real Estate auctions medical office space in Caguas". Here is the website link: https://newsismybusiness.com/auctions-medical-caguas/. Thank you.